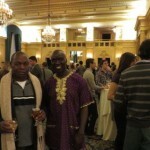 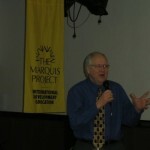 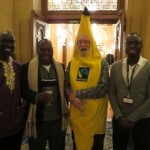 Fair Trade Conference, Dinner at the Human Rights Museum. 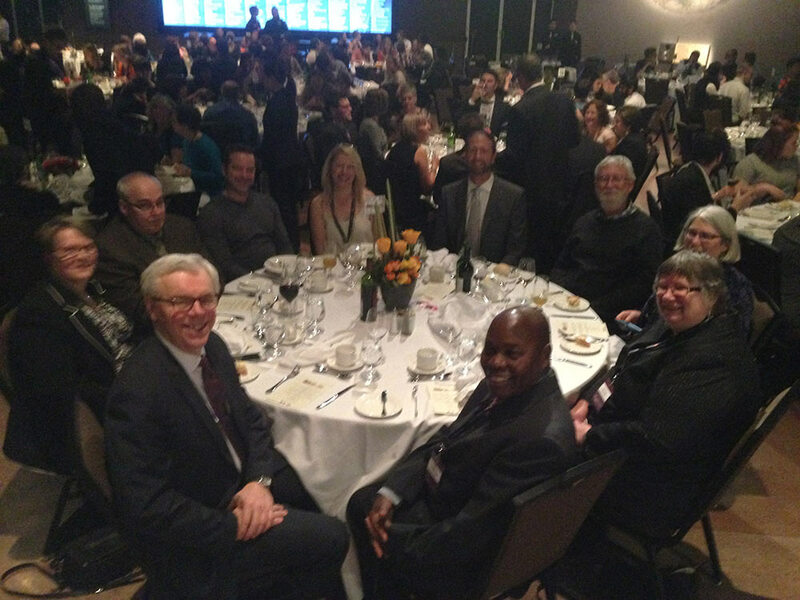 Premier Selinger, Beny Mwenda [TSAEE Coordinator], Dinah Ceplis [MCIC board member and Marquis member], Jennifer Thompson [long-time Marquis supporter], Zack Gross [MCIC Fair Trade Coordinator and Marquis Board member], Sean McHugh [Executive Director of Canadian Fair Trade Network], Michelle Burnett [Ten Thousand Villages] and friend, and Janice Hamilton [ED of MCIC] and friend. 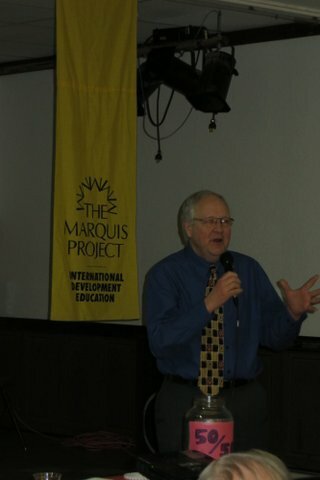 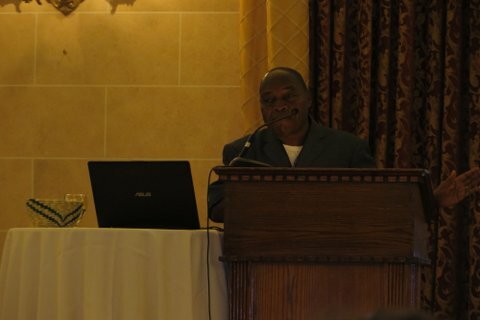 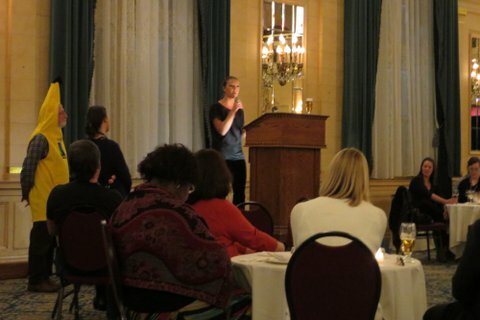 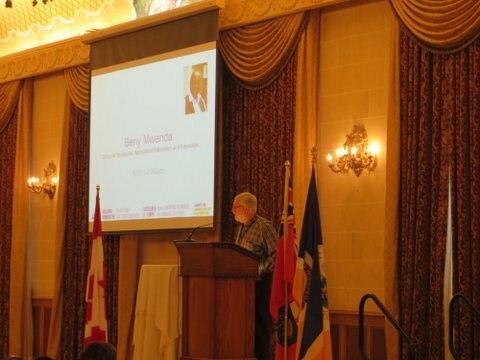 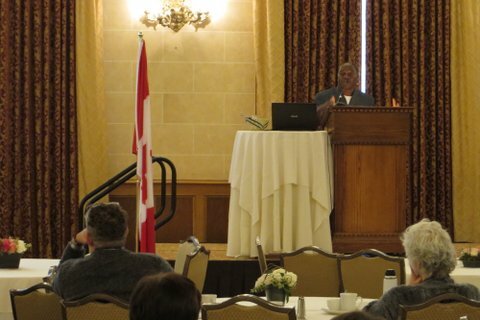 Beny presenting at the Canadian Fair Trade Network Conference, February 19th, 2016 in Winnipeg. 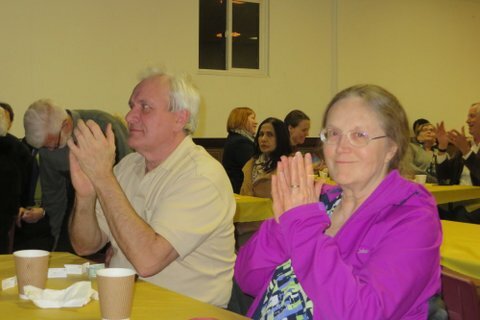 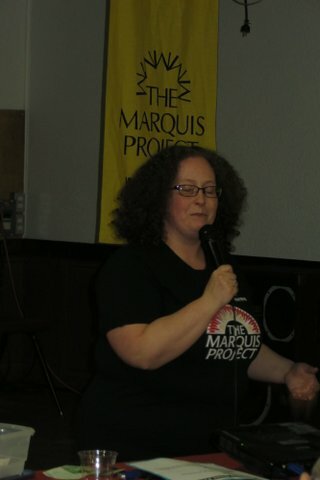 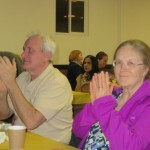 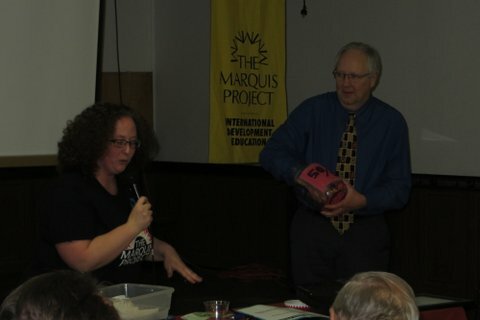 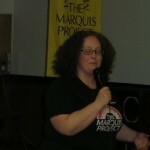 Photos courtesy of Dinah Ceplis. 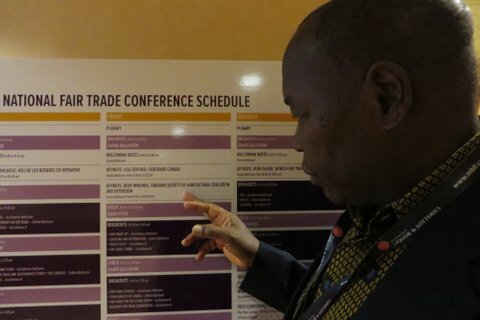 Beny right after he landed, figuring out where he is on the Fair Trade Conference Schedule! 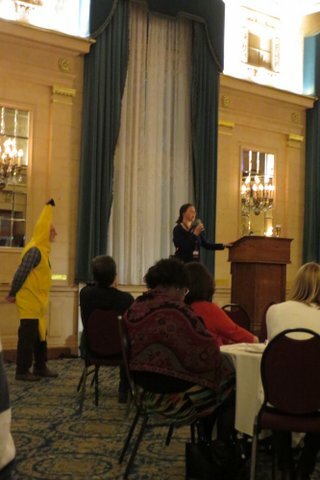 Zack Gross presenting at the Canadian Fair Trade Network Conference. 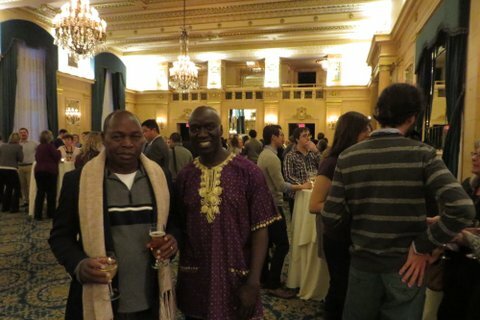 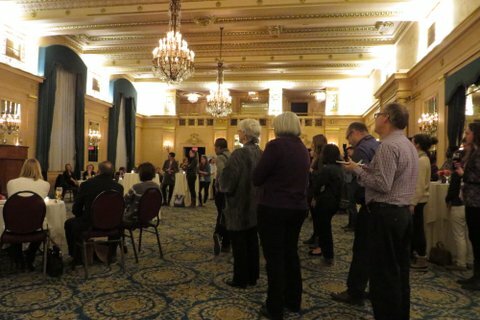 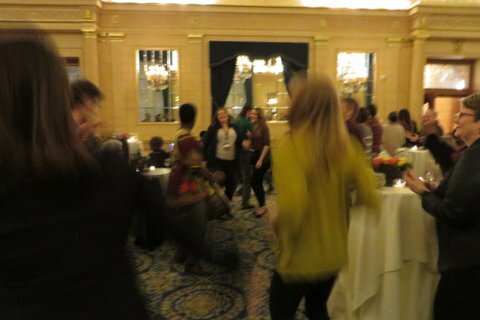 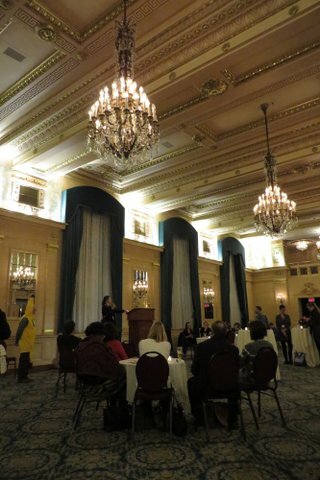 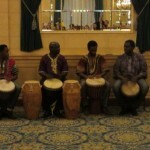 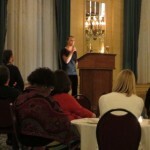 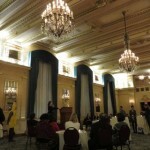 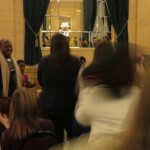 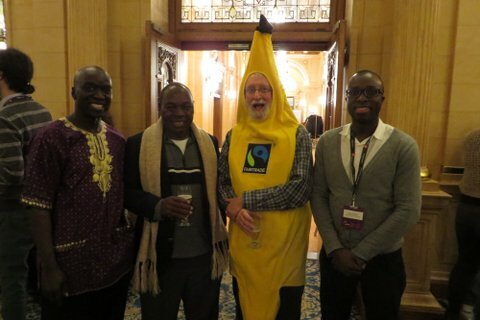 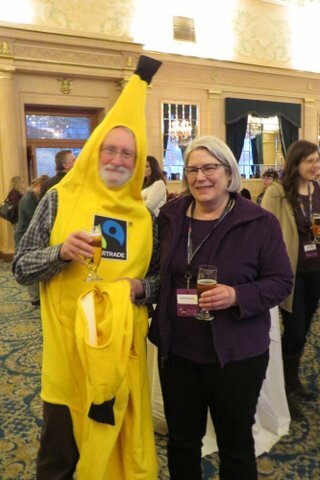 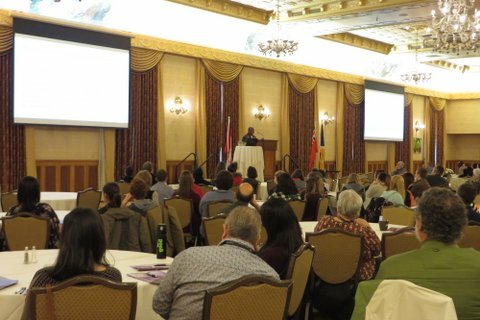 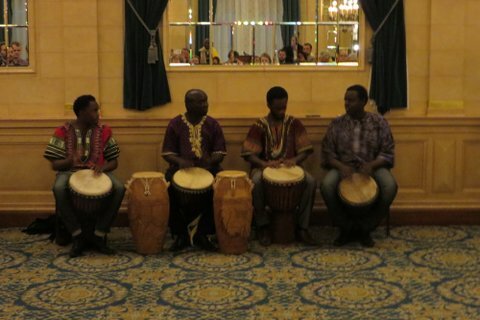 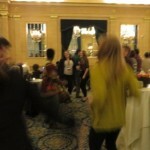 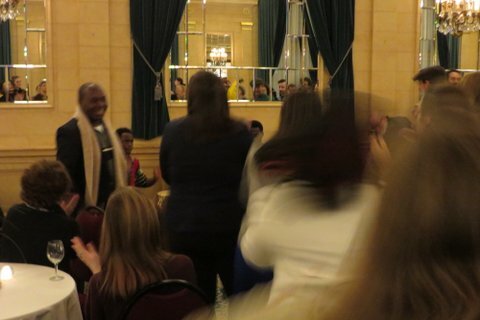 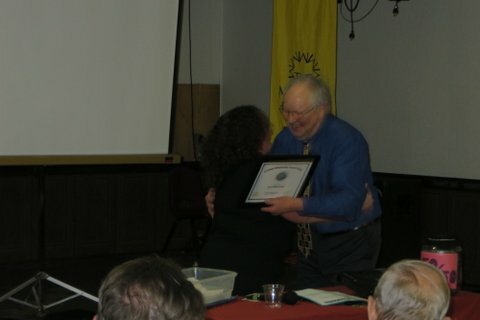 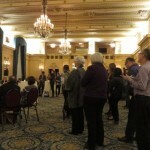 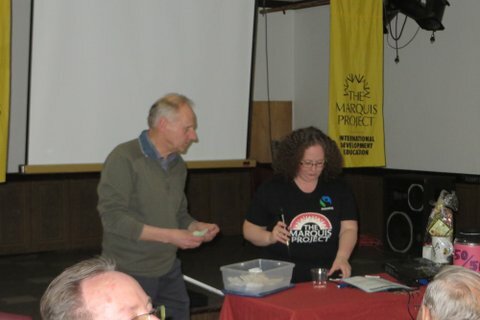 Fair Trade Conference, February 2016, Fort Gary Hotel, Winnipeg MB. 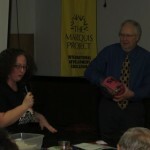 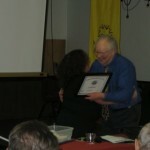 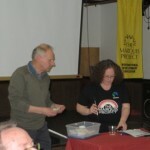 All photos courtesy of Dinah Ceplis.